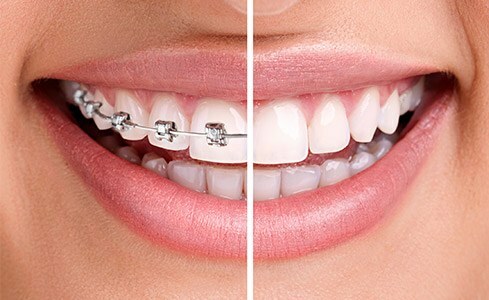 Choosing to straighten your teeth is a big decision that affects not only your appearance, but your lifestyle as well. As an adult, you may be looking to improve your smile for business reasons, social reasons, or even for a special occasion like your wedding day. Or perhaps you're a teen or the parent of a teen looking for an effective yet modern-day orthodontic solution that doesn’t require a mouthful of metal. Either way, Invisalign and Invisalign Teen can provide a simple way to accomplish this without having to put your life on hold. Take a moment to learn more about the entire Invisalign treatment process and how it can help you below. Why Choose LIC Dental Associates for Invisalign? Once we’ve determined that you’re a good candidate for Invisalign, Dr. Saran or another member of our team will take a detailed scan of your teeth using their 3M Digital Scanner so that we can have a series of clear, custom-made aligners created. 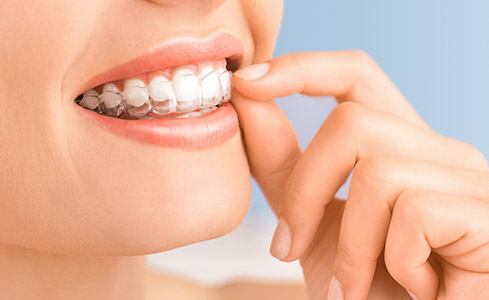 Each of these aligners represents a different stage of your smile as it slowly shifts into a much more ideal position; all you have to do is wear them for the instructed amount of time before switching to the next in the set. Also, we ask that you attend regular, brief check-ups at our Long Island City practice so that we can ensure you’re progressing smoothly through the treatment process. Invisalign treatment offers patients several valuable benefits over metal braces. There are no uncomfortable wires or brackets to worry about – only smooth, clear plastic that’s been crafted to match your unique needs. Because of their removable nature, you won’t need to make any changes to your diet or oral hygiene routine at home. Best of all, we can usually complete your treatment in 6 -18 months, which is a significant improvement over the multiple years traditional orthodontics can often require.